Thomas was born in Newbury in 1897 (he was baptised at St Mary’s, Speenhamland on 23 May); he was the son of Florence Ada Marshall, but the identity of his father is not known. He was looked after by his grandparents, Richard and Hannah Marshall at 3 Park Street in Newbury. They had their hands full by 1901 when their household also included Thomas’s cousin, Cissy, also four years old and her widowed father John. Without their parents to look after the children John and Florence may have struggled - grandparents as babysitters is not a new phenomenon. In 1905 Florence married John William Morse in Reading. Morse was a widower with a daughter, Winifred Daisy, of his own. 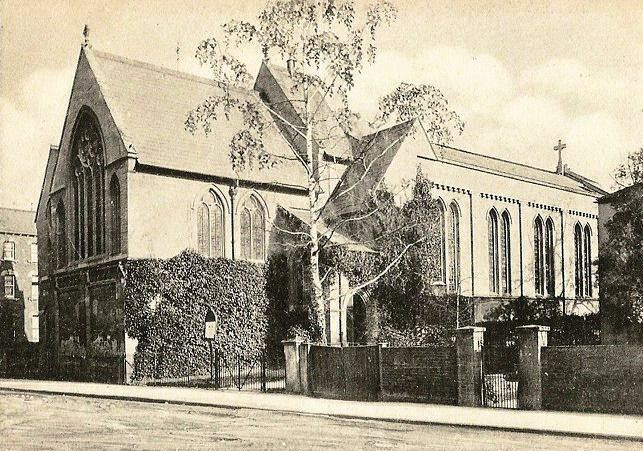 At the time of the 1911 census they (including Thomas) were living at 71 Orts Road, Reading – together with Florence’s mother, who had been widowed the previous year. Thomas began his education in Newbury at Speenhamland School before the move to Reading. Quite unusually he was still at school, aged 14, in 1911. This was a time when the minimum school leaving age was 12; he may have shown extra promise and and even may have earned a place at a grammar school in order to still be studying at this age. When war was declared in 1914 Thomas was still too young to serve overseas with the army, but he may well have tried since he enlisted around October 1914. His military career involved three different regiments. He first served in the UK with the Berkshire Yeomanry (No 2525) before being transferred to the Berkshire Regiment. 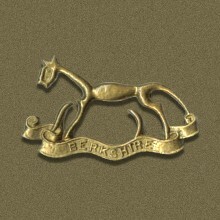 As the war progressed the need for cavalry such as the Yeomanry was seen as secondary to the needs of the infantry regiments suffering at the front and many of the Berkshire Yeomanry in home units (the 1/1 Berkshire Yeomanry saw action at Gallipoli and in the Palestinian Campaign) were transferred to the local infantry. It was as a member of the Berkshire Regiment (No 203985) that Thomas first went overseas; his service number was not issued until 1917, he would have had another number before this - the use of the 'long number' on his medal records suggests that he did not go overseas until after the change. He may have served at the front with the regiment (his number suggests he would have been a Territorial so with either the 1/4th or 2/4th Battalion). However, it is likely that he was diverted to the Royal Warwickshire Regiment from the Infantry Base Depot that he was sent to on first arriving in France. These depots were responsible for satisfying the needs of all the battalions of several regiments and, while they would aim to send men to a battalion of their own regiment there were times when a battalion from another regiment had a more pressing need for reinforcements. 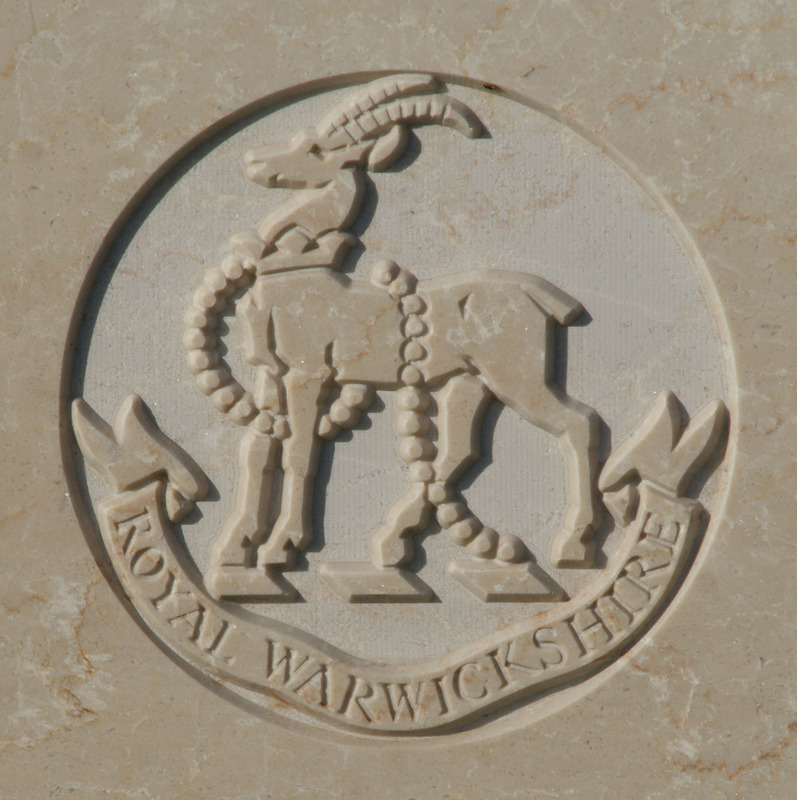 However it happened Thomas found himself serving in the 2nd Battalion, Royal Warwickshire Regiment under yet another number - 260323. On 27 October 1917 the battalion relieved the 22nd Battalion, Manchester Regiment as brigade reserve in Canada Street and Hedge Street trenches. A few months earlier these trenches where immediately behind the front line either side of Hill 60 a short distance south-east of Ypres (Ieper); by October the line had moved a short way to the east and the trenches were a convenient spot to hold troops that might be called upon to help repel an enemy assault. The battalion was relieved at about 9.30pm by the 1/1 Cambridge Regt and marched to camp at DE ZON ANNEXE M.12.C.9.4. There is no mention of any fighting, or of enemy shelling – leaving it difficult to determine how any of the men became casualties. However, this was the day that Thomas was reported ‘missing in action’. His family would have been informed that he was missing and would be left in a limbo of uncertainty – would he turn up as a prisoner of war? In reality he had probably been blown to pieces or buried by an enemy shell; perhaps he was one of the men drowned in the infamous mud of the Passchendaele battlefield? Eventually the War Office would have notified his parents that Thomas had been presumed to had died on the day he went missing and would have issued a death certificate accordingly. For some reason his death went unnoticed by the Imperial War Graves Commission (IWGC; now the CWGC - Commonwealth War Graves Commission) as it assembled a list of those who had died. All those without known graves were to be commemorated on a series of memorials to the missing distributed all along the Western Front where British and Empire servicemen had lost their lives. An organisation of volunteers called the In From the Cold Project, recognising that a considerable number (thousands) of men and women had been overlooked by the IWGC, set about rectifying the situation. A major project was to go through the index of army deaths as notified to the Registrar General (custodian of the national registers of Births, Marriages and Deaths) checking every entry against the Commonwealth War Graves Commission’s database of service deaths. This uncovered around 2,000 omissions, one of which was Thomas. On 24 November 2009 Thomas’s name was added to the CWGC’s Debt of Honour database and, subsequently, his name was added to the Tyne Cot Memorial to the missing on an Addenda panel. Locally he was not overlooked. 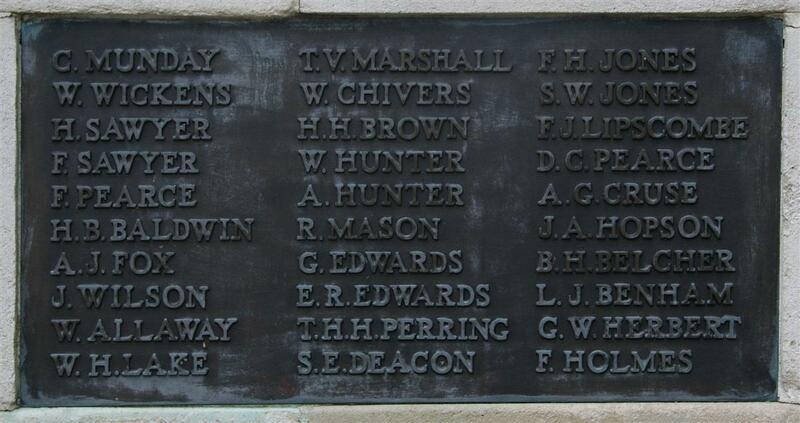 His name appears on tablet 3 of the Newbury Town War Memorial; he was also remembered (as T V Marshall, Berkshire Yeomanry) on the long lost memorial in Speenhamland School. Thanks to the In From the Cold Project for their efforts on Thomas’ behalf and, in particular, to Alan Brockbank, the volunteer who uncovered his omission and Terry Denham for his help while compiling this story.